Here we have yet another Sci-Fi space movie where i think it’s safe to say no good things ever happen. 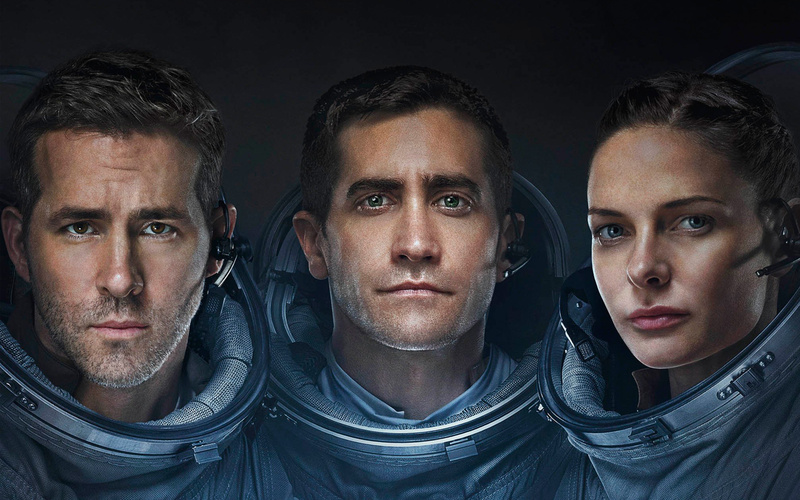 ‘Life’ follows a group of astronauts aboard the International Space Station who obtain evidence of life on Mars. But as they soon find out this extraterrestrial life form is much smarter than they anticipated. Jake Gyllenhaal, Ryan Reynolds, Hiroyuki Sanada, and Rebecca Fergusen headline an all star cast and all put in strong performances that make this experience worthwhile. There are enough thrills throughout the movie to adequately hold your interest and there is a decent amount of suspense to keep you invested in what might happen. But ultimately this fails to bring anything new to the genre, everything in this film has been done before and is either intentionally or unintentionally lifted from other films in the genre. Firstly i will start with the biggest highlight of the film and that is the talent involved. The on-screen chemistry between the crew is what makes watching this film interesting, to some extent you care about the characters because you can see that they care about each other. There isn’t really a standout performance though, which is odd in a film where Gyllenhaal is featured, but that’s just a testament to the amount of effort everyone put in. Ryan Reynolds was great in a very serious role, not the first time he has ventured away from the comedy/rom-com genres but it shows he has a grip on both sides of the acting spectrum. Even the lesser known actors Olga Dihovichnaya and Ariyon Bakare did a good job at selling the fear and desperation on the faces of the crew and were on par with the bigger names in the film. As i mentioned there are enough suspenseful sequences and moments of horror to keep you engaged but the story overall hits all the main beats you have seen in films within this genre. It isn’t a copy of one single film by any means but it does borrow a number of elements from ‘Alien’, ‘Gravity’, ‘The Martian’ making this an overall enjoyable yet very familiar story. Overall the film progresses at a relatively quick pace and once things start going bad you don’t get much of a chance to breathe calmly which is a good quality to have. This makes the film seem tighter and not overly drawn out with any particularly boring sequences. The film is also well shot inside the space station giving off a pretty successful claustrophobic effect and there are some stunning shots of space that are cool to look at. So in the end i think Life overall is a pretty decent film that offers a good amount of thrills, suspense, and excitement but due to the nature of the genre being so repetitive it does feel like an amalgamation of a bunch of other films put together. The strong performances from the main cast are what really sell the suspense and allow you to stay invested in the story to the very end, where it does go out on a high yet also generic note. What i will say is if you have not yet seen Alien, Gravity, The Martian, or Interstellar, check them out first, and then once you’ve exhausted your options then maybe check this one out for a pretty good time. Previous ‘LIFE IS STRANGE’ (2015) GAME REVIEW – We’re Not Cut Out For Some Of These Life Choices…..